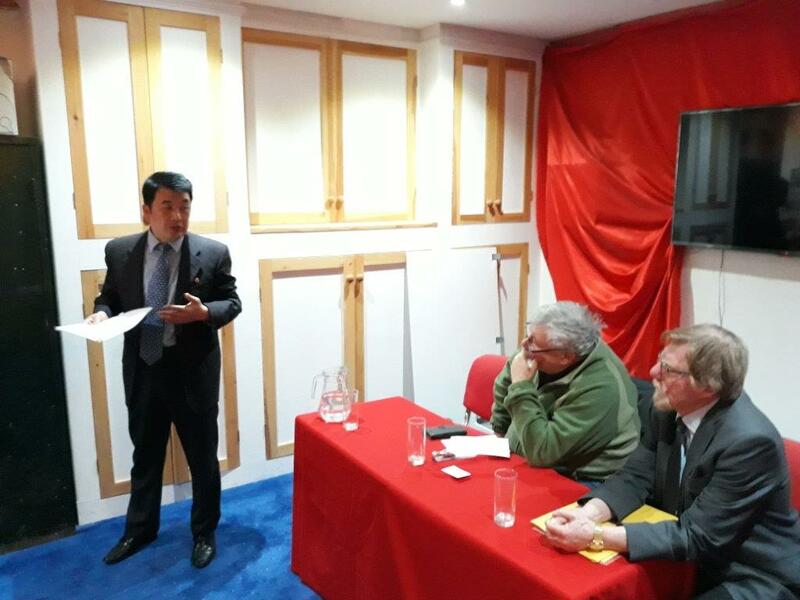 London communists met last week to celebrate the life of Kim Il Sung, who led the mighty movement that freed Korea from Japanese colonialism and established the people’s government in the north that was to become the Democratic People’s Republic of Korea (DPRK). Comrades gathered at the John Buckle Centre in south London for the commemoration called to honour the 107th anniversary of the birthday of President Kim Il Sung, the father of modern Korea, and to hear a report on the current situation by a diplomat from the DPRK embassy in London. Kim Il Sung not only grasped Marxism-Leninism but he applied it to the concrete conditions of the Korean people. He knew that once the masses realised their own strength they would become unstoppable. He knew that serving the people was the be-all and end-all for Korean communists and for the Workers’ Party of Korea that he launched in 1945. He developed Korean-style socialism and the Juché idea – which elevates the philosophical principles of Marxism-Leninism as well as its economic theories and focuses on the development of each individual worker, who can only be truly free as part of the collective will of the masses. In the western world Juché is often described as “self-reliance” but it is much more than that. Kim Il Sung said that working people could only become genuinely emancipated if they stood on their own feet – but the Juché idea doesn’t negate proletarian internationalism. The Soviet Union, People’s China and the people’s democracies of eastern Europe all closed ranks behind Democratic Korea during the Korean war. The Korean people responded with their trade and assistance whenever they could, whilst Korean experts and advisers helped the Vietnamese, the Arabs and the Africans struggling to break the chains of colonialism, and they continue to do so today. And Kim Il Sung’s successors, dear leader Kim Jong Il and leader Kim Jong Un have followed his footsteps to build a modern socialist republic, where every individual worker is master of his or her own life. 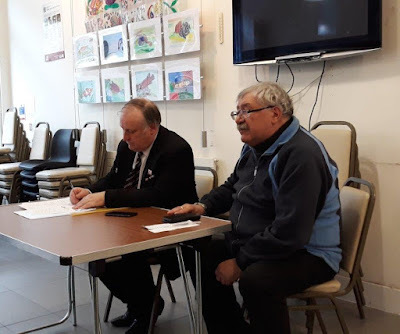 New Communist Party leader Andy Brooks opened the formal part of the meeting, which began with a tribute to the life of Kim Il Sung by Michael Chant from the RCPB (ML). That was followed by a talk by Kim Song Gi from the Democratic Korean embassy on Kim Il Sung’s immense contribution to the world communist movement. The Korean comrade also spoke about the current status of negotiations with US imperialism following the collapse of talks between Donald Trump and Korean leader Kim Jong Un in Hanoi in February. The Q&A session soon led into a lively discussion with the Korean comrade on the efforts of the people’s government to ease tension on the Korean peninsula, and the need to put Korea back on the peace and anti-war movement agenda in Britain and build solidarity with the Korean people on both sides of the divided peninsula. Finally the comrades sent a solidarity message to Korean leader Kim Jong Un, and called on everyone to support the right of the Korean people to self-determination and independence in the context of taking up the cause of global peace. The Co-ordinating Committee of the Friends of Korea brings together all the major movements active in Korean friendship and solidarity work in Britain today. It is chaired by Andy Brooks and the secretary is Michael Chant. 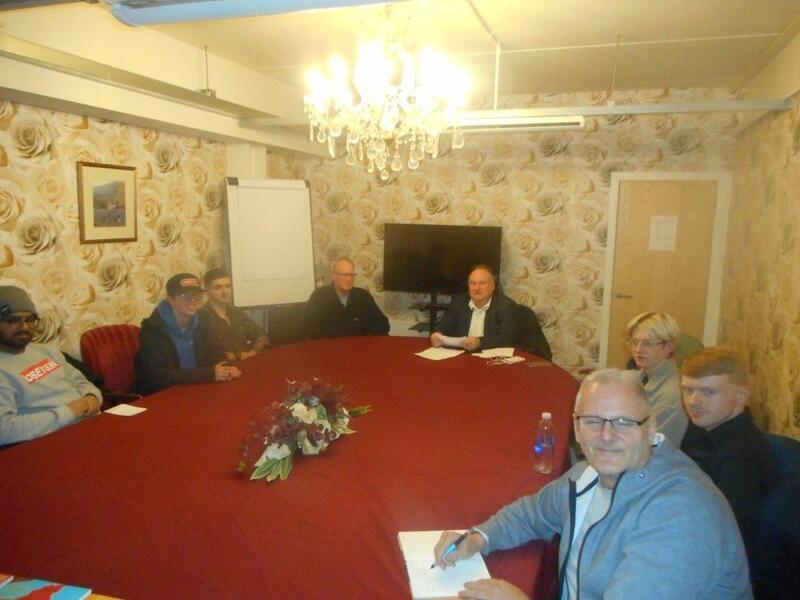 The committee organises meetings throughout the year, which are publicised by the supporting movements and on the Friends of Korea website. Kim Il Sung was born on 15th April 1912 and his birthday has long been celebrated as the Day of the Sun by everyone who stands by the Democratic people’s Republic of Korea (DPRK). The Day of the Sun is the biggest public holiday of the year in Democratic Korea and last weekend solidarity activists gathered at a hall in central London to join the Korean masses in honouring the memory of the outstanding communist leader who lead the Korean people to victory to build the modern socialist republic we have today. Friends of the Korean revolution returned to the Marchmont Centre in Bloomsbury to celebrate the birth of great leader Kim Il Sung, the man who founded the communist movement that liberated the country from Japanese colonialism, defeated the might of US-led imperialism in the Korean War and led the drive to build the modern, socialist republic that exists today in the north of the divided peninsula. Kim Il Sung advanced and developed Marxist philosophy throughout his long and active life – a theme taken up by a number of speakers at the meeting called by the Korean Friendship Association (KFA). The KFA Chair, Dermot Hudson, spoke about the Korean people’s heroic struggle against Japanese colonialism and US imperialism, and NCP leader Andy Brooks recalled meeting Kim Il Sung in 1990 and talked about the Korean communist leader’s immense contribution to the world communist movement throughout his long life. A message from the DPRK embassy in London pointed out that memories of famous people often fade away with the passage of time – but this is not the case with President Kim Il Sung: “In the first half of the 20th century, when Korea was a colony of Japan, he waged a long, bloody struggle to win back its national sovereignty. After the country’s liberation on 15th August 1945, he founded the Democratic People’s Republic of Korea and developed it into a genuine people’s country and independent power. “He was a world-renowned statesman who rendered both material and moral support to third-world countries in building new society and made a great contribution to the struggles for independence including the non-aligned movement. 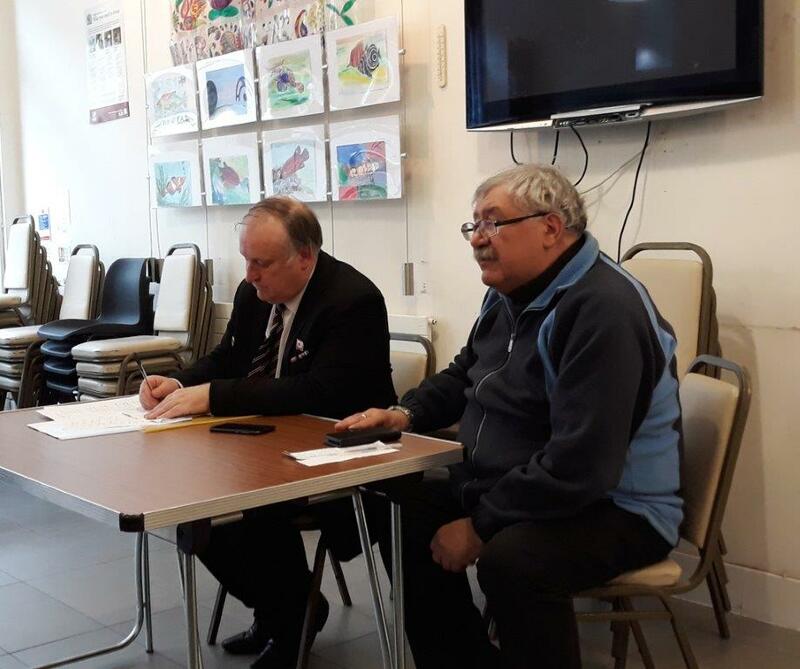 The Korean Friendship Association (KFA) returned to Manchester last week after a 10-year gap, with the aim of starting a new KFA branch for the Manchester area. The meeting was convened hurriedly in a local pub after the Quakers banned the friendship movement from their meeting room, to hear KFA Chair Dermot Hudson talk about his recent visit to the Democratic People’s Republic of Korea (DPRK) and open the discussion on local campaigning. It was resolved to hold quarterly meetings of the KFA on a regular basis in Greater Manchester to build friendship with the people of Democratic Korea.